The customer reviews posted below are based on individual consumer experiences and may NOT necessarily represent what expected results will be from using or taking CytoSport CytoGainer Chocolate Milkshake - 3.5 lbs. These results may not be typical and you should not necessarily expect to receive the same results. Actual results may vary. 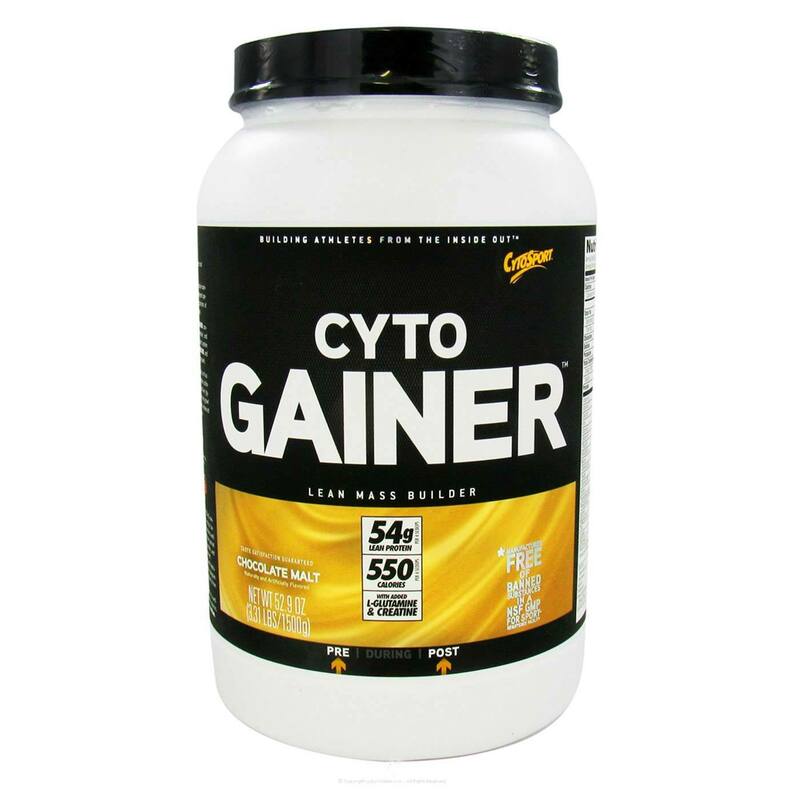 CytoGainer (Vanilla Shake) is an excellent product for fast weight gain. 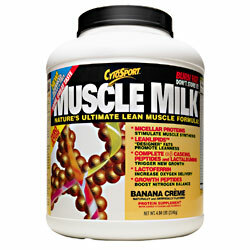 It has more protein per shake than most products, but has a lot of carbs too. I felt results in 2-3 weeks and started to gain weight after 3 weeks. I drank one Vanilla milkshake every night before bed, which helped my body process all the protein. I think it recommends 3 shakes a day but I personally didn't need that much. I highly recommend CytoGainer if, and only if, you do cardio with your routine, if you don't you'll probably gain fat too. It has a lot of carbs, but they seem to easily burn off. My strength went through the roof too. Great stuff for people who are just starting out or if you've plateaud your weight or strength. Also if your one of those who has a hard time gaining weight. The Vanilla tastes better than all the vanillas I've tasted too! CytoGainer has a great taste and works just as well as it tastes. Cytogainer chocolate is a great tasting weight gainer. Good amount of calories per scoop and a large amount of carbs that help put on weight quick. I definitely recommend it. Cytogainer is a very good product. If supplemented right with a controlled amount of fat and carbs in your normal diet, mostly muscle mass and strength will result, rather than fat and bloating. I am a 5'11, 215lb guy who is already muscular, but just wants to pack on some more thick, strong pounds. CytoGainer has helped me do that. Give this stuff a try, and you will see size and strength increases.